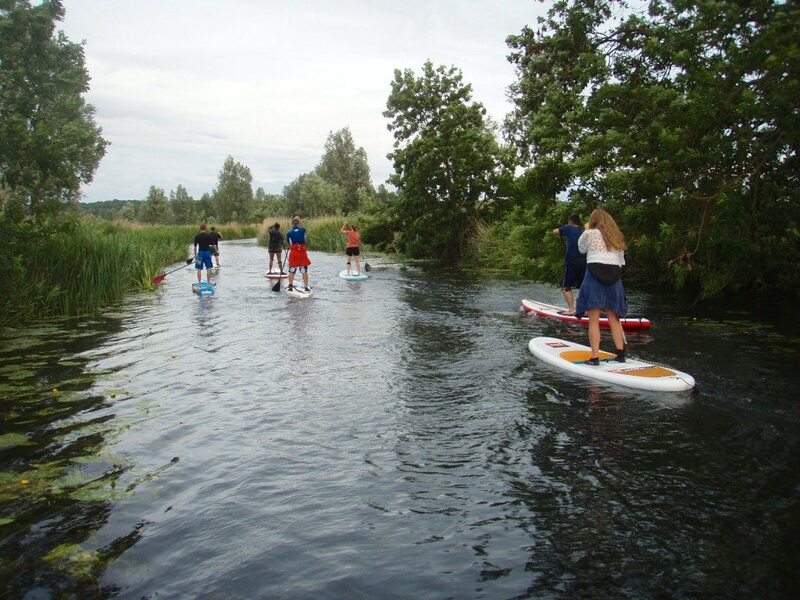 Huge thanks to all 18 paddlers that made it up to Paper Mill Lock for a sultry summer SUP Club last night. It was great to have a real family atmosphere, with two father-and-son combinations, a father-and-daughter, a couple of couples, and a brace of brothers on the river. 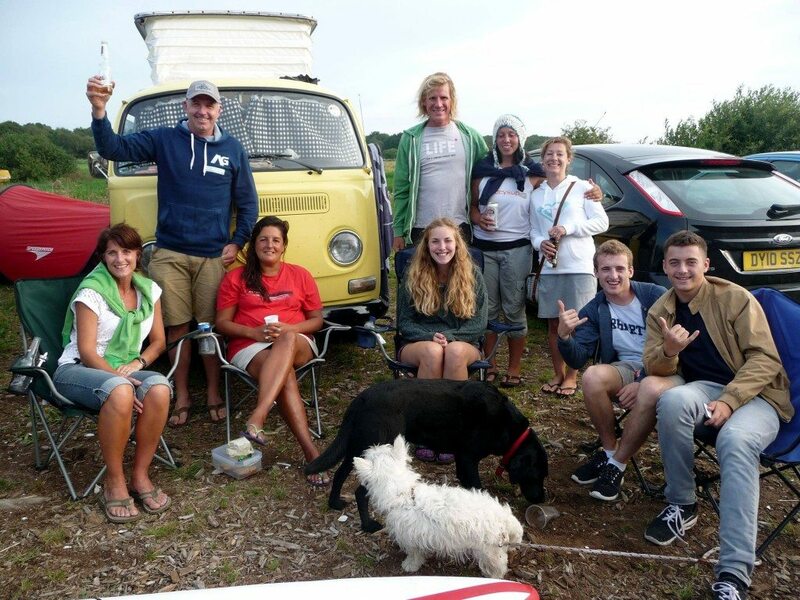 Plus we were even joined by puppy-dog Bongo! With very little wind and mirror-flat water, we cruised two locks east up to Hoe Mill Lock in well under an hour, pleased to see that the blanket-weed we found that way a couple of weeks ago has all safely sunk back down to the riverbed again. We grouped up at the lock waiting for a few late arrivals to catch up with us before heading home into a glorious setting sun. While a few of our racier guys kept the pace high enough, it was a pretty gentle paddle home leaving us all plenty of time to chat and enjoy the scenery – the wild-looking horses seemed to be enjoying themselves on the riverside too. Although understandably the swans with their fledgling signets didn’t seem so keen to see us glide past! We finished the c. 8km route before 9pm, leaving us plenty of time to pack up and make it down to the Rodney before dusk for yet another well-earnt post-paddle-pint. More of the same next week?!? 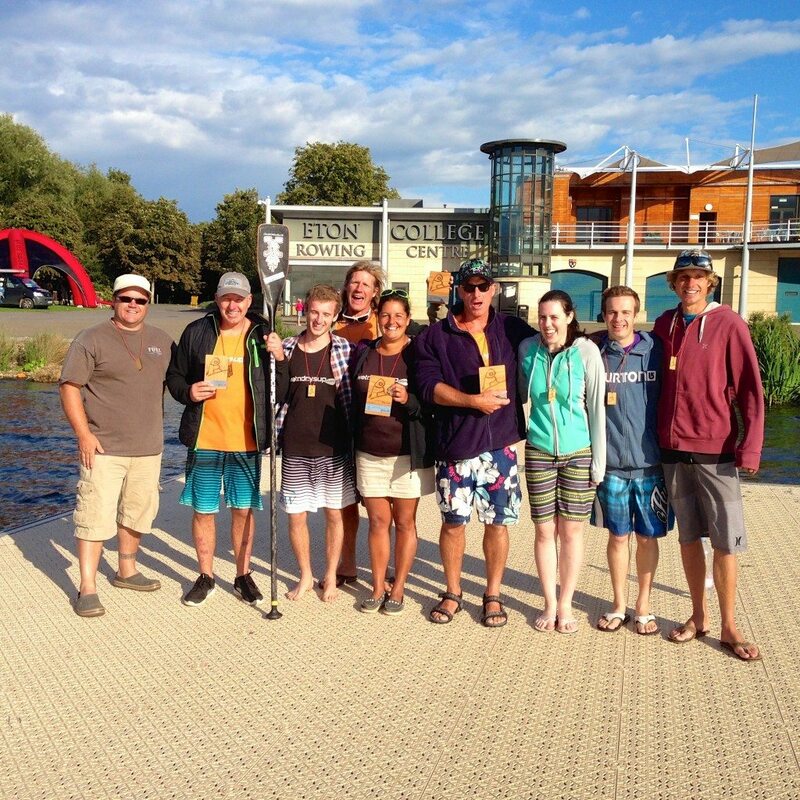 SUP Club – Windy Wednesday! 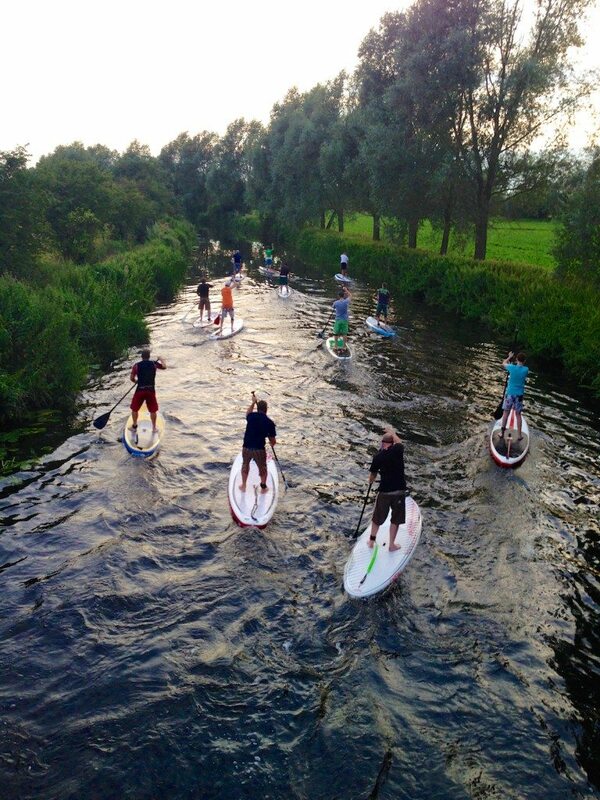 With a strong wind forecast, grey skies, and a bit of rain through the day, we weren’t expecting the greatest of turn-outs for last night’s SUP Club up on the River Chelmer. So we were pleasantly surprised that eight brave souls arrived at Paper Mill Lock to take on the breeze. And it really didn’t turn out so bad – there were certainly windy stretches forcing us to dig in pretty deep during the 3km paddle two locks west, but on the whole the trees and banks tucked us out of the worst of it really nicely. In fact, at times you’d hardly have known it was windy at all … and the sun even made an appearance! 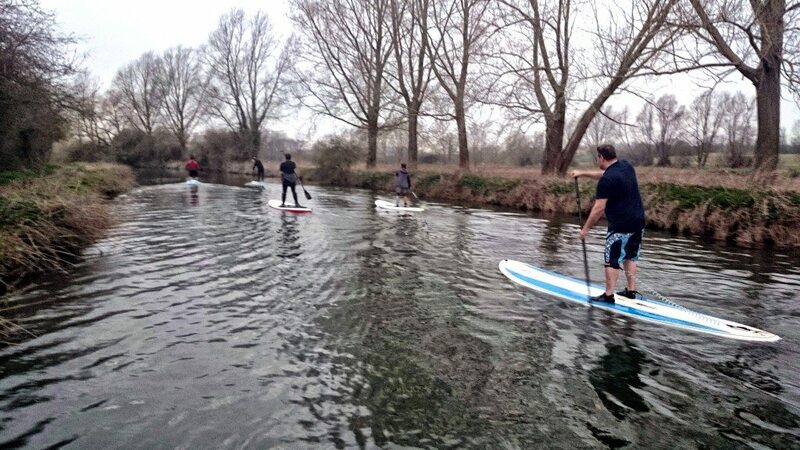 After a 10-minute break at the apex of our route, the 3km paddle back downwind really flew by – aided by a little bit of current from the stream too – and we were soon back out at Paper Mill Lock and packing up. Unfortunately not quite in time to make last food orders at the nearby Six Bells pub, although a few of us did scrape in at the Grange Chef & Brewer for a hard-earnt dinner.